- [CHANGE] Repositioned topic type indicator and changed background colour to inherit from preset. Also reduced font size. 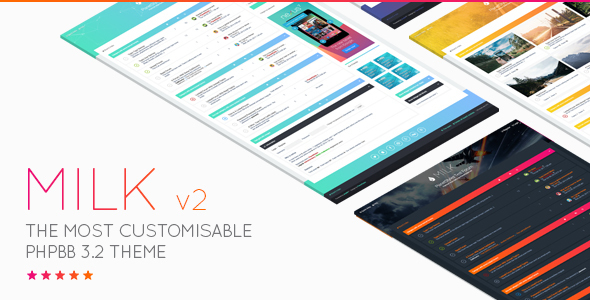 - [CHANGE] Set max-width on logo to prevent responsive breakdown. - [CHANGE] Milk now inherits any missing template files (eg: For extensions) from prosilver. - [ADD] All features from phpBB 3.1 version.